As the auto industry has shifted towards electrification and autonomous vehicles, it seems that more eyes than ever have been on “mobility” companies and tech startups at the Consumer Electronics Show in Las Vegas. Between CES (“the 800 pound gorilla for Detroit,” according to Autoline’s John McElroy) and automakers staging their own private events and using social media more than ever for debuts, the Detroit Auto Show has lost a bit of luster over the years. But it’s not down for the count, even as it’s focused on more than just cars these days. I like competition. But I look at it as a competition with ourselves to grow and target more audiences. CES is a great show, but by definition they have to be a blend because electronics cover so many markets. CES and Detroit are fundamentally different shows... Because CES is a trade show, it’s a great way for manufacturers and suppliers to show off what they have in store. But if you have a vehicle that’s coming to market in the next six months, then an auto show is where you need to be. Translation: people are still buying cars, even if sales are expected to taper off a bit in 2018. And they want to see what’s new and out there. We just compiled our list of cars that are expected to/rumored to show up at Detroit, and it’s damn exciting. Big guns like the Ford Ranger, Ram 1500, Silverado and Mercedes G-Class are expected to show face. Plus, who knows there may even be a GT500 and a mid-engine Corvette there. Automotive News reported last week that Renault and Nissan were partnering up with Mitsubishi to build 15 vehicles “with autonomous features” by 2022, and that the companies were on the hunt for a tech company to help develop autonomous taxis. The first investment that the fund will make will be in American company Ionic Materials, which is developing cobalt-free solid-state batteries. The auto industry is changing, and carmakers worried about falling behind are partnering up. In the automotive world, supplier Continental is a giant. Its devisions engineer everything from tires to 48-volt hybrid devices to electronic stability control systems to infotainment units. But now that enormous supplier could be considering an enormous overhaul, or even a split, Bloomberg reports. Under scenarios being considered, the manufacturer could create a holding company for its divisions and then sell shares in the more profitable units, such as the tire business, or combine some operations with rivals, said the people, who asked not to be identified because the matter is private. Continental’s biggest shareholder, the Schaeffler family, will have to approve any change in the way the company is set up, so we’ll have to wait and see if anything happens. Still, a major auto supplier considering reorganization is just one of many indicators of truly how quickly the auto industry is changing. This comes after Takata announced recently that it would recall another 3.3 million inflators that used ammonium nitrate propellant, which had a tendency to degrade in humid conditions, and then violently explode when triggered by a crash—potentially sending shrapnel into occupants. Those 3.3 million inflators can be found in not just Toyotas, but also Hondas, BMWs, Daimler products, GM products, Tatas, Jaguars, Land Rovers and Subarus. Reuters reports that, according to NHTSA’s figures from November, 19 automakers had recalled 46 million inflators in 34 million vehicles in the U.S. due to the faulty inflators, and that the figure will grow to 70 million inflators by 2019. Now if only people would actually get their airbags fixed. Americans these days have such a strong thirst for expensive pickup trucks that GM’s output of crew-cab pickups is “constrained,” Automotive News quotes GM’s executive VP of global product development Mark Reuss as having stated at the Consumer Electronics Show this week. Reuss says The General has plans to fix this with the next generation of Silverado, expected to make its full debut at the Detroit Auto Show in a few days. The news site points out that the share of GM’s large trucks with crew cabs has risen from “more than 50 percent” to “more than 60 percent” according to someone from Chevy. Plus, Automotive News points out that Silverado sales were up 1.9 percent last year in a market that grew 5.6 percent in that same span. In other words, you can expect to see a lot of new four-door Silverados and GMC Sierras rolling out of GM’s Silao, Mexico and Flint, Michigan plants, which build the light-duty and heavy-duty crew cabs, respectively. On this day in 2008, at the New Delhi Auto Expo in India, Tata Motors debuts the Nano, billing it as the world’s cheapest car: The anticipated price tag is around $2,500. 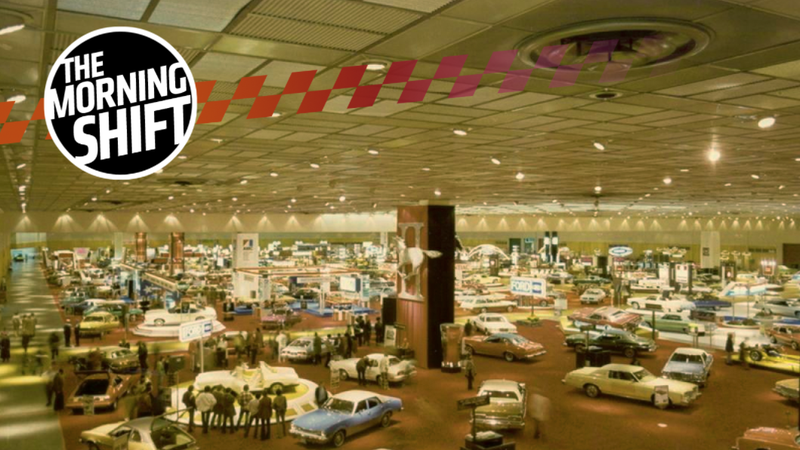 Neutral: Is The Detroit Auto Show Still Relevant To You? As a car enthusiast, does the Detroit Auto Show still matter to you? Has CES taken anything away from its importance?